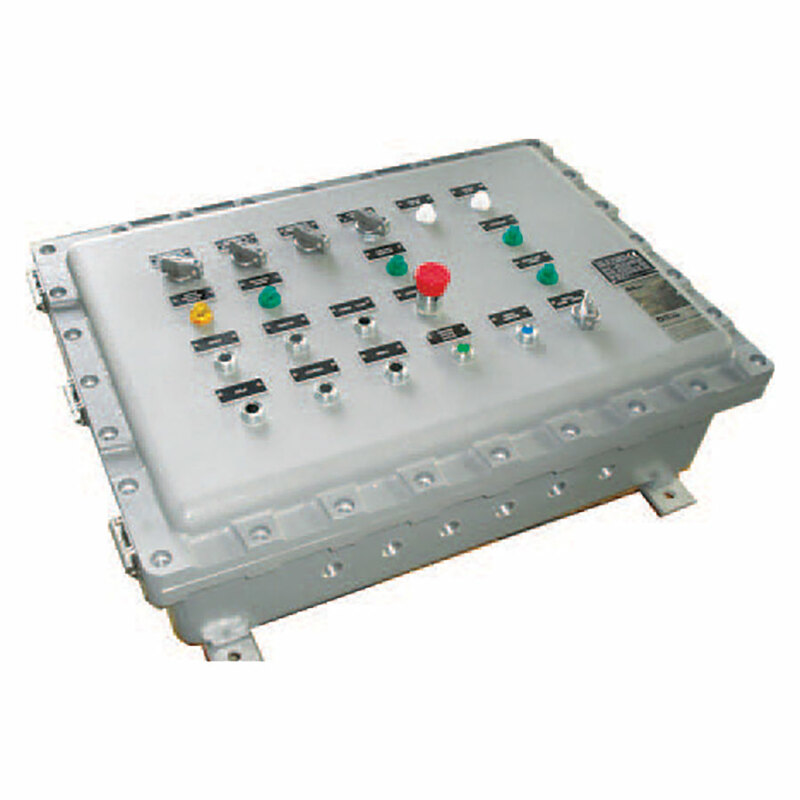 Electric remote control panels (ERCP's) are tailor made solutions to move electrical operated monitors according to the project basis and customer's requirements. The basic principle of the electrical control panels is to receive and distribute the electrical power to the movement motors and in additian, to control relative to the valves attached. Simple electric monitors, such as MME do not need to process the information as limit switches or torque switches etc. Simple design of the monitors saves costs to control them while keeping desired functionality. Additional features attached to the monitor bodies and giving indications on the control panel give more controlling options to the user. With simple monitors, only one pair of cables to transmit power has necessary previsions to switch whereas for complex monitors along with the power carrying cables, it is necessary to make additional cables to transmit signals. Electric operated monitor's control panels can be multiplied according to usage where operating the monitors from a single point is difficult. Additional local control panels can be adapted to the existing control panels where better vision achieved for control. Control panels are manufactured prior to the approvai of the wiring diagrams by our client which is always made-on-order, by using high quality certified equipment accordingto CEI41/S andCEI17-13 (EN 60439-1) Low-voltage switchgear and control gear assemblies-standards. 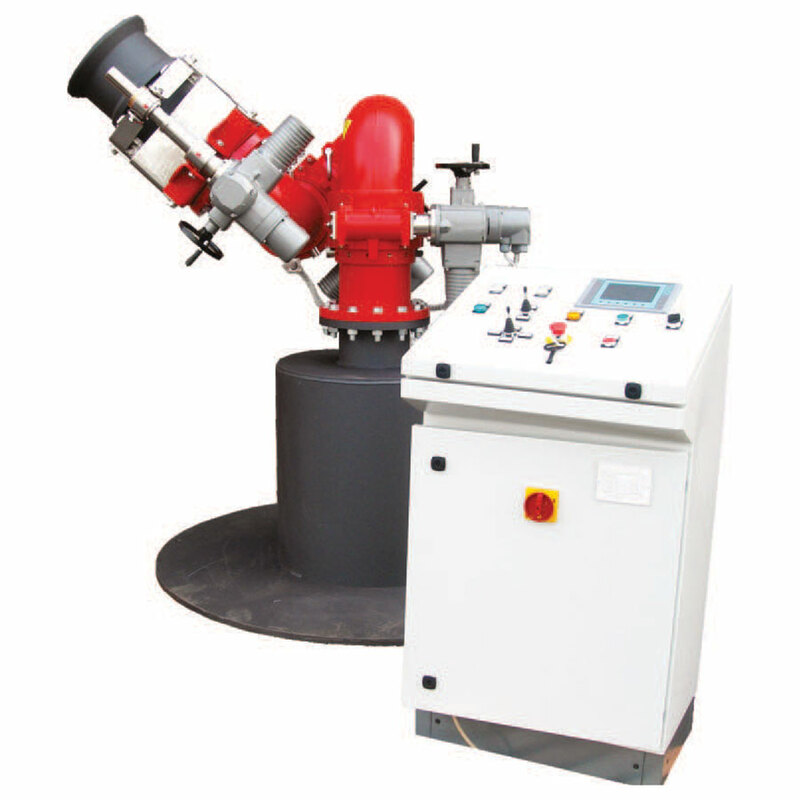 After realization of each control, the tests prevised at said regulations performed and a conformity certificate is always drawn up. 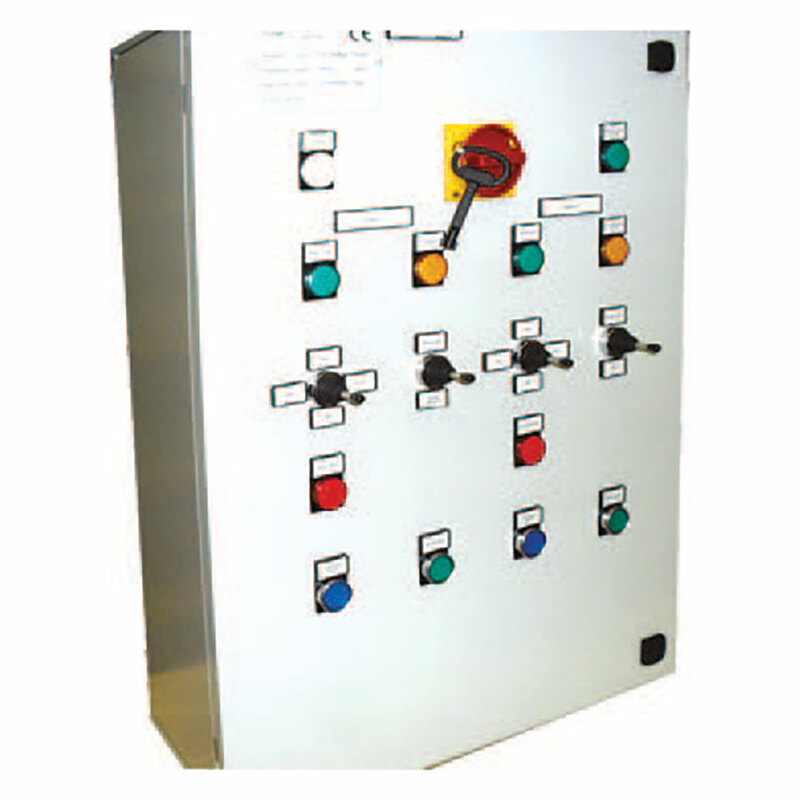 ATEX versions of local or remote control panels are available on request. Depending on the motors used, there is no distance limit between the control panels and the monitors. Of course, sections of the cables are calculated accordingto the distance between the control panels and the monitors. Programmable Logic Control (PLC) based control panels with CPU and additional modules are available when needed to control the monitors for complex logical functions. 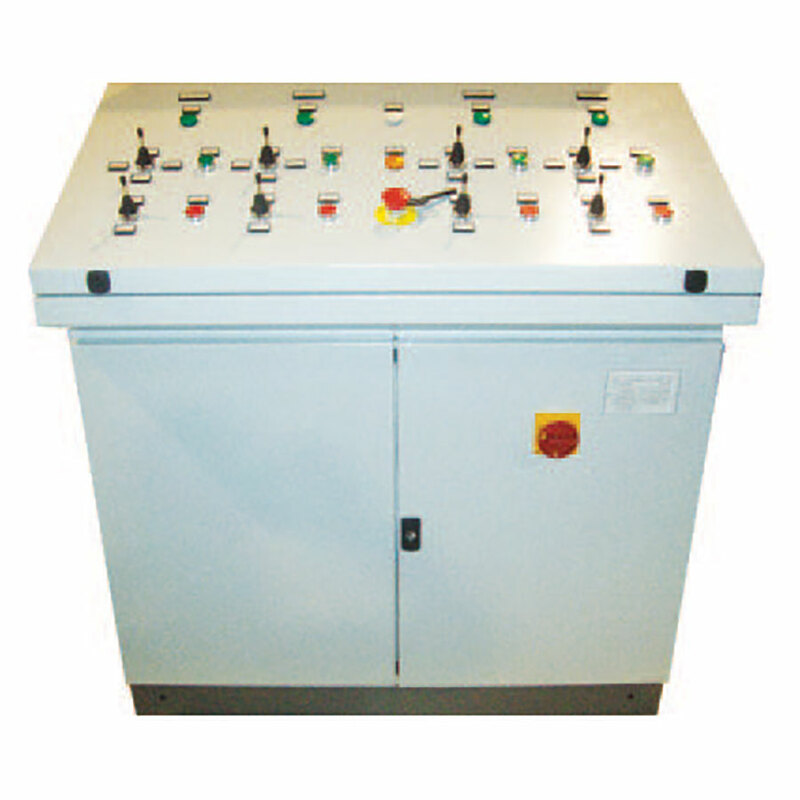 Control panels are made out of powder coated steel metal materials and are normally designed for indoor use. 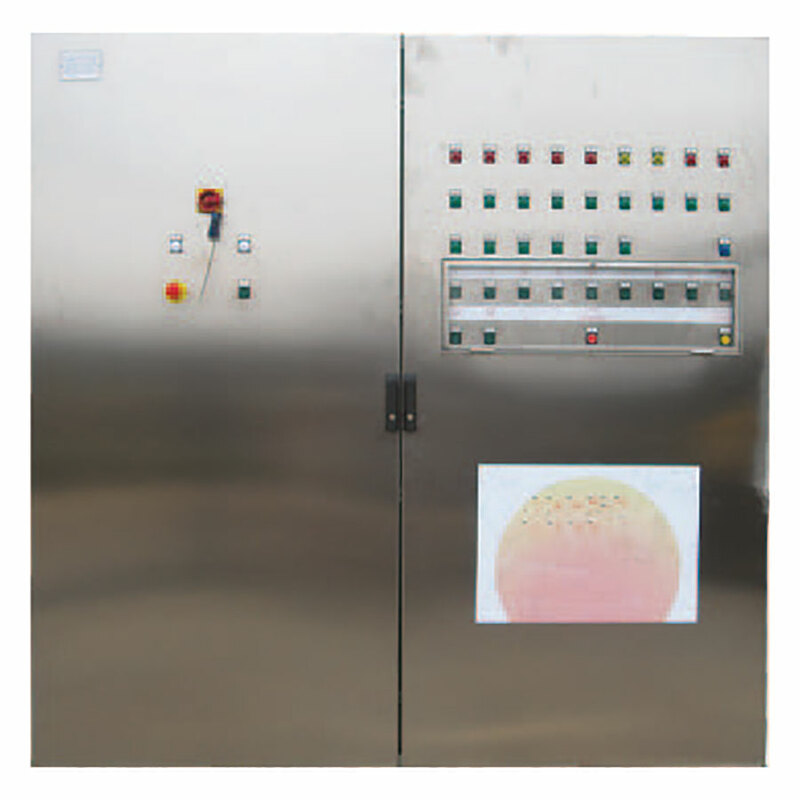 Special materials for ATEX environment or Stainless steel controlling cabinets are available from our product range up to IP65 protection class.